Home / Chennai / Chennai Super Kings / CSK / IPL / IPL 12 / IPL 2019 / M.A. 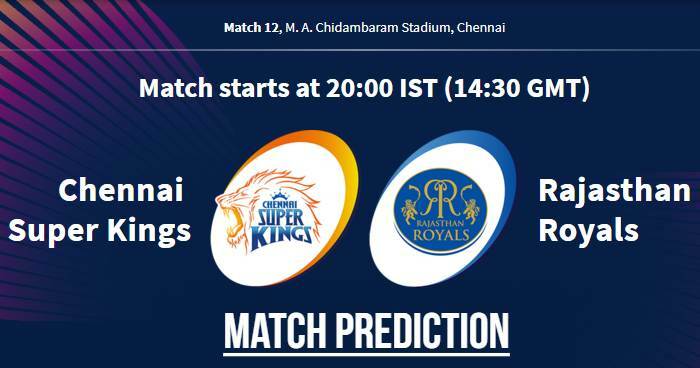 Chidambaram Stadium / Match Prediction / Rajasthan Royals / RR / VIVO IPL 2019 Match 12 CSK vs RR Match Prediction, Probable Playing XI: Who Will Win? 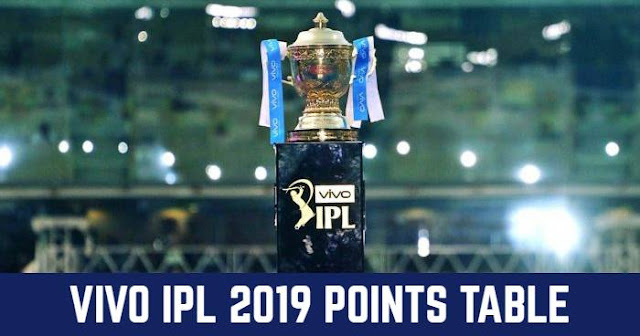 VIVO IPL 2019 Match 12 CSK vs RR Match Prediction, Probable Playing XI: Who Will Win? Playing XI for CSK: MS Dhoni (c & wk), Shane Watson, Ambati Rayudu, Suresh Raina, Kedar Jadhav, Ravindra Jadeja, Dwayne Bravo, Deepak Chahar, Shardul Thakur, Mitchell Santner, Imran Tahir. Playing XI for RR: Ajinkya Rahane (c), Jos Buttler (wk), Sanju Samson, Steven Smith, Ben Stokes, Rahul Tripathi, Krishnappa Gowtham, Jofra Archer, Jaydev Unadkat, Shreyas Gopal, Dhawal Kulkarni. With due coming into factor later in the game, toss-winning captain would like to bowl first. In last match here between Chennai Super Kings and Royal Challengers Bangalore; Royal Challengers Bangalore only posted 70 runs on the board with CSK cchased it in 17.4 overs with 3 wickets down. But average score batting first here is 167 and today teams might need more than that. Our Prediction for IPL 2019 Match 12 CSK vs RCB Who Will Win? Shane Watson and Suresh Raina set up the Super Kings’ win against the Delhi Capitals; on a sluggish surface at the Feroze Shah Kotla, the two experienced players went hard at the new ball and got their team off to a quick start. The conditions at the Chepauk will be somewhat similar, possibly more challenging, and therefore the focus will be on the pair yet again to take toll of the new ball. For the Rajasthan Royals, Jos Buttler and Sanju Samson will be expected to shoulder the responsibility of scoring the bulk of the runs. Samson struggled for form in the most-recent domestic cricket season but seems to relish playing under the spotlight the IPL puts him under. n our prediction, Chennai Super Kings are likely to win this match with good records at their home.